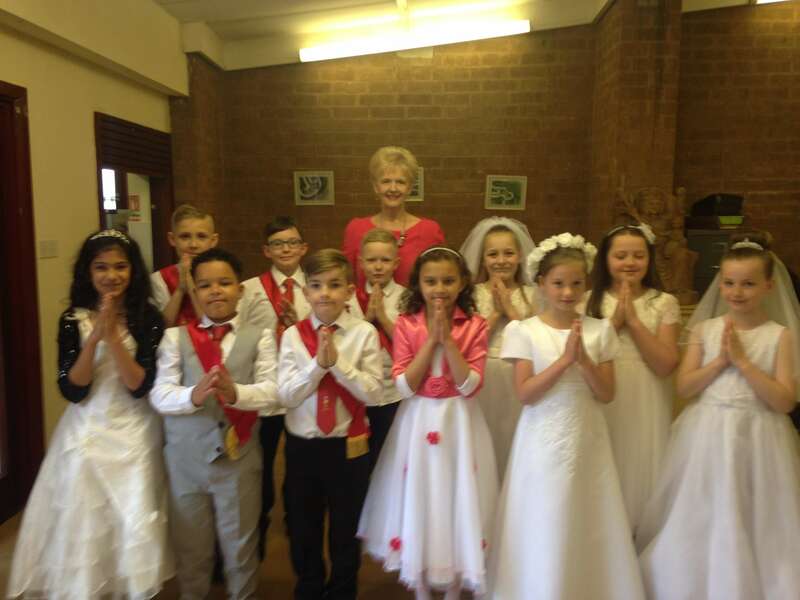 This Sunday 11 children from Year 4 received communion for the first time at St Lawrence’s Church. 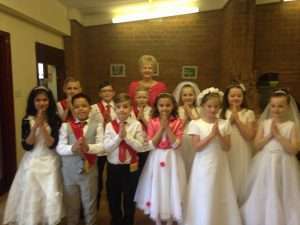 They were supported by a large number of their friends and teachers from school who sang in the choir. 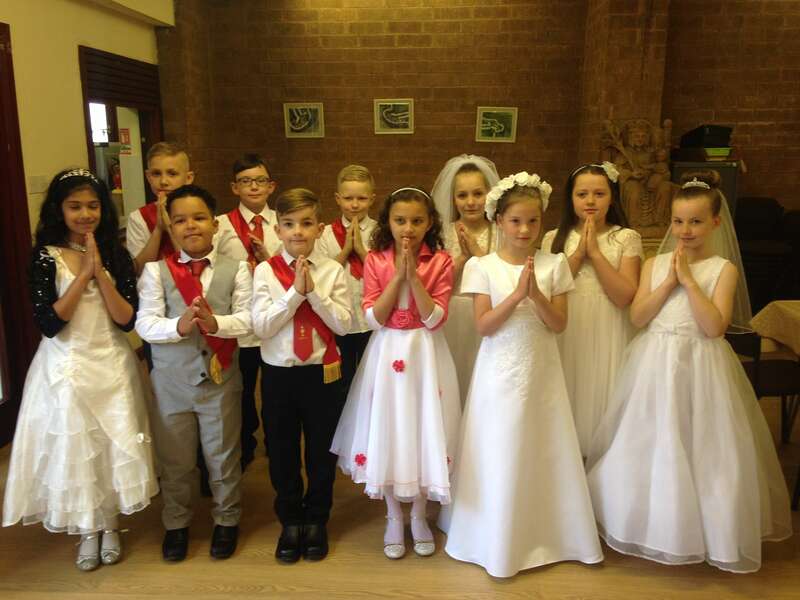 This was a memorable occasion for the school and the parish. The children performed a beautiful Liturgical dance to the Stanley and Boyce composition; Hail Mary. 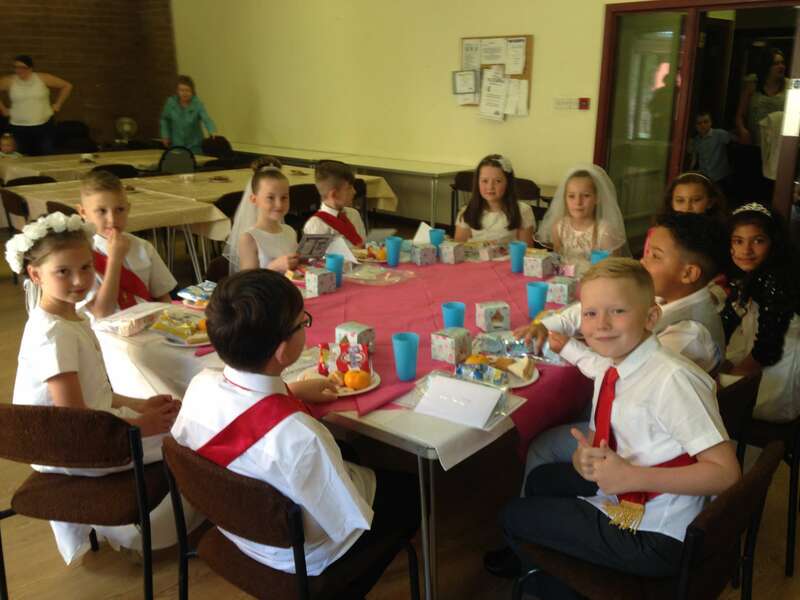 After mass everyone gathered in St Lawrence’s Parish Hall for a First Communion breakfast.